Peter Madsen takes the admonition to turn lemons into lemonade quite seriously. 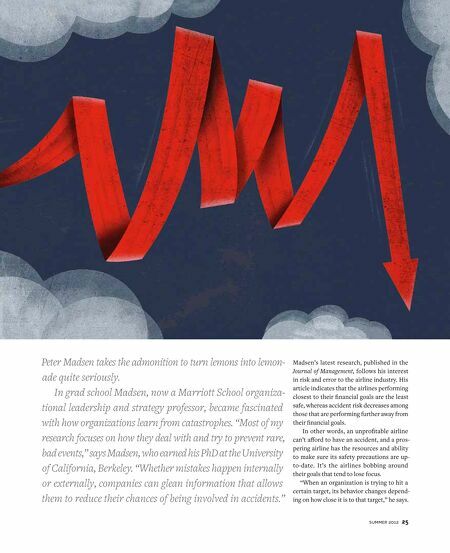 In grad school Madsen, now a Marriott School organizational leadership and strategy professor, became fascinated with how organizations learn from catastrophes. “Most of my research focuses on how they deal with and try to prevent rare, bad events,” says Madsen, who earned his PhD at the University of California, Berkeley. 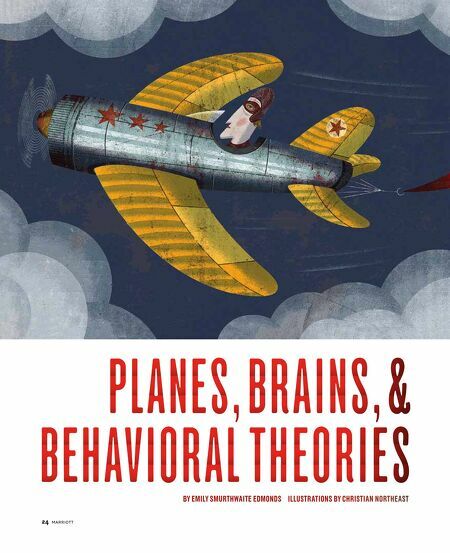 “Whether mistakes happen internally or externally, companies can glean information that allows them to reduce their chances of being involved in accidents.” Madsen’s latest research, published in the Journal of Management, follows his interest in risk and error to the airline industry. His article indicates that the airlines performing closest to their financial goals are the least safe, whereas accident risk decreases among those that are performing further away from their financial goals. In other words, an unprofitable airline can’t afford to have an accident, and a prospering airline has the resources and ability to make sure its safety precautions are up-to-date. It’s the airlines bobbing around their goals that tend to lose focus. “When an organization is trying to hit a certain target, its behavior changes depending on how close it is to that target,” he says.